Courtesy Michael Summa, the old font was of course easier to find in 1977. 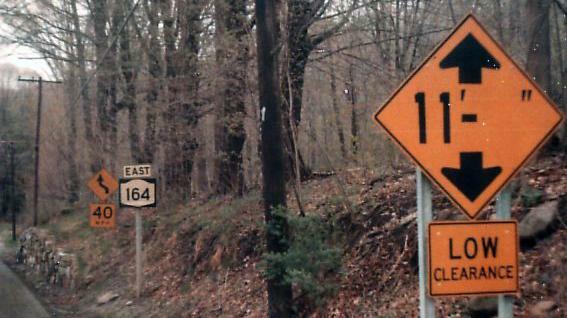 In the background, the curve sign and advisory speed are both the old style as well. 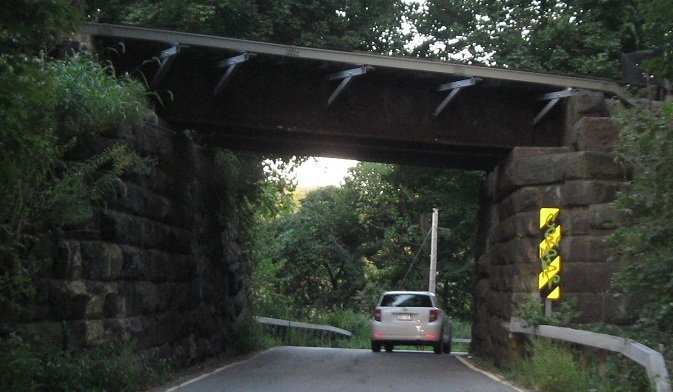 NY 164 is really nothing more than a series of low overpasses. 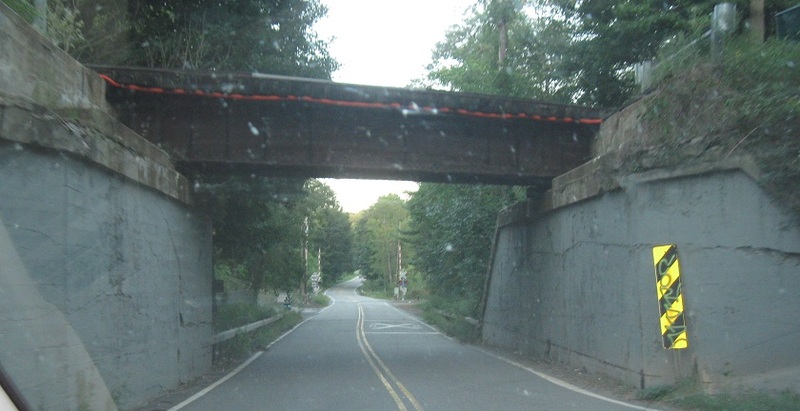 A track or trestle may come out here or there, but not much has changed since the Era of Summa.